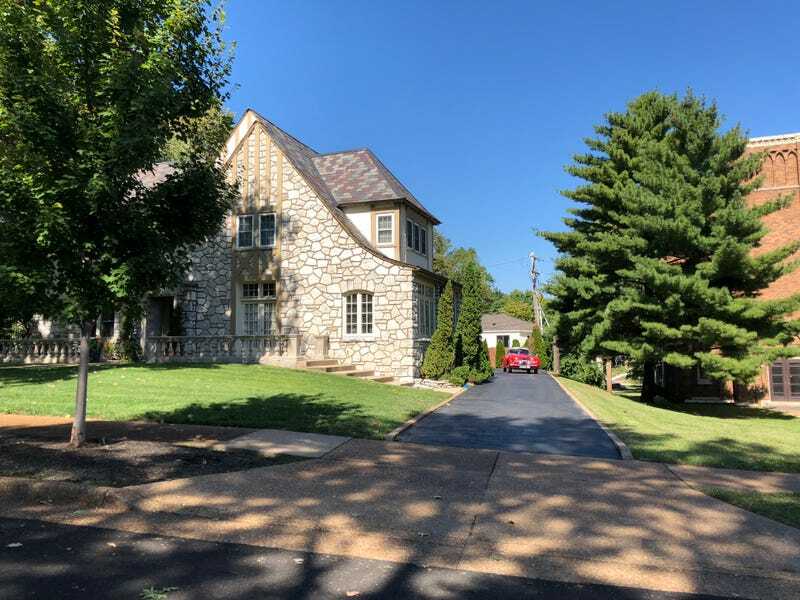 Across from my church on the border of St. Louis and Clayton, Missouri, is this house. The owner has vintage Jag and Bentley coupes, a trailer to race something, and of course a current model XJ long body. I peak at them each week in the summer to see what’s out on the driveway. He’s got the “drive tastefully” thing down pat.